Tomorrow, May 9 at 6pm VDOT is holding a public hearing on a road project that will affect the W&OD Trail where it intersects Route 7 and Route 9. 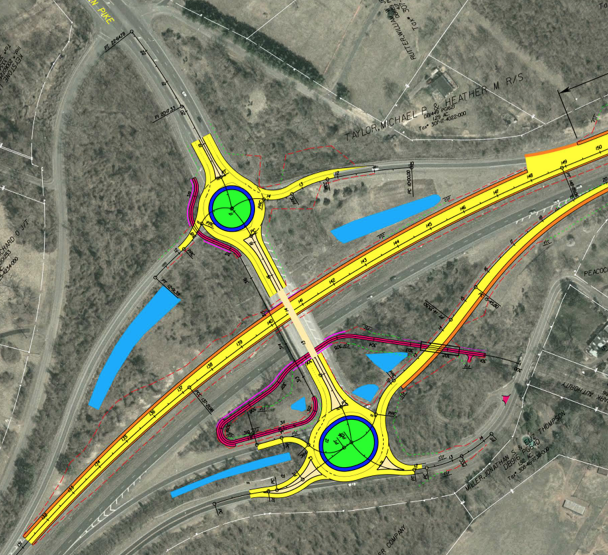 The project "is called “Route 7 Truck-Climbing Lane and Operational Improvements” and it includes two roundabouts at the Rt.7 and Rt. 9 intersection near Clarks Gap west of Leesburg. The W&OD Trail crosses Rt. 9 at this location and Trail users would have to cross multiple lanes of the proposed roundabouts. Instead, VDOT is proposing a realignment of the Trail including underpasses to minimize trail user/automobile conflicts. Get details and a map. The W&OD realignment is shown on the left side of the map." The meeting will be at Loudoun County High School, 415 Dry Mill Road, SW in Leesburg, or comments may be emailed or sent to James C. Zeller, P.E. at 4975 Alliance Drive, Fairfax, 22030 by May 19, 2012. Sorry for the short notice. We just learned about the meeting today in an email from NVRPA.